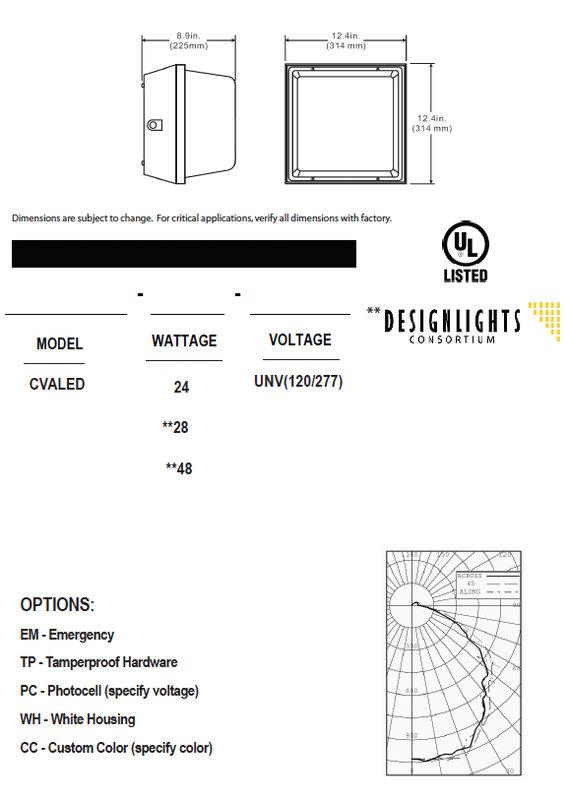 The CVALED Luminaire is available in 24, 28 and 48W. LED technology offers an unprecedented lamp life. 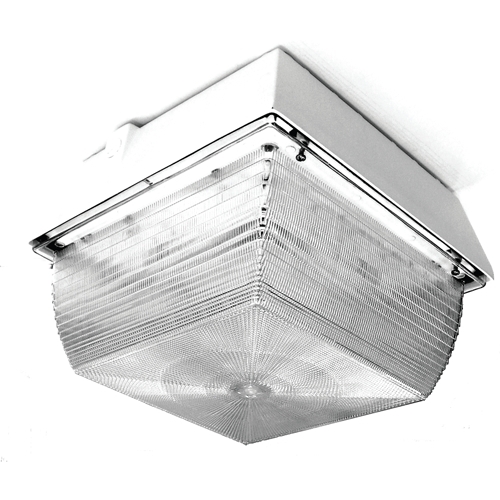 This fixture is vandal-resistant and can be mounted on the wall or ceiling. It is designed to provide long life and high reliability in those applications where an extra level of protection and security is required. The housing can be mounted directly over a standard 4″ outlet box or surface-wired through ½” conduit entries. Suitable for wet locations, these lights are typically mounted 8–14′ high. Durable die-cast aluminum with ½” threaded conduit entries for surface wiring. A continuous one-piece gasket ensures a weather tight seal. Clear Prismatic polycarbonate diffuser with UV inhibitors. Dark bronze powder paint finish is standard.